Today is the International Day of Persons with Disabilities! For individuals with disabilities, travel and tourism can be an empowering experience. UNWTO is convinced that travel facilitation for people with disabilities is a vital element of any responsible and sustainable tourism development policy. Tomorrow is the European Day of People with Disabilities including a 2-day conference by the European Commission. 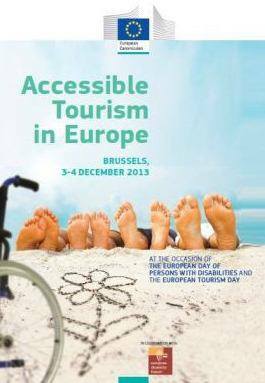 This year's focus is on accessible tourism. Also: the winning city of the Access City Award for 2014 will be announced.